Buttermilk is a dairy product, which is left behind once the butter has been churned out of the cream. It is a very popular addition or ingredient to pancakes, dressings, and bread. You might think that buttermilk would taste like butter and milk combined but you will be surprised when you know what it really tastes like. If you are curious, you might have asked this question: What does buttermilk taste like? 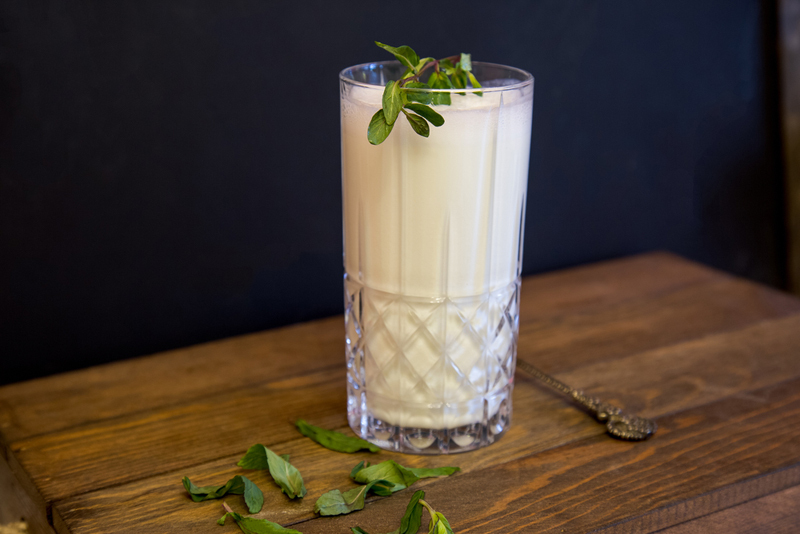 In this post, we are going to discuss what buttermilk taste like, some of its health benefits, how it is made, and some of the ways on how to use it. 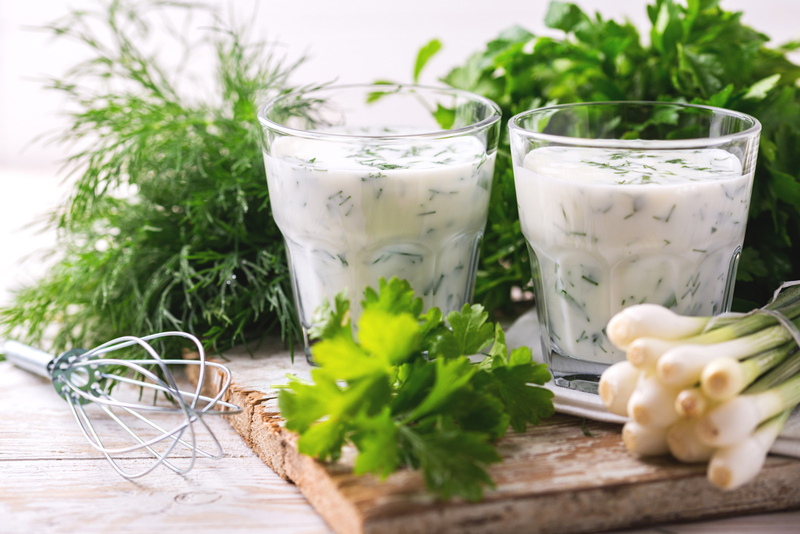 I hope that after you read this post, you will be able to use your buttermilk to cook something very delicious. Before we proceed with the discussions, you should first be aware that there are two types of buttermilk. The first one is popularly known as the traditional buttermilk while the second one is the buttermilk that is sold commercially. The latter’s flavor will depend on a specific type. Traditional buttermilk refers to the leftover liquid when butter is produced. In order to create butter, milk is contained in a separator that separates the cream from the remaining liquid, which is known as skim milk. What’s left from the traditional butter is what we call the buttermilk. However, you might not see this very often at the store. The more popular kind of buttermilk is the one you see at the store. Surprisingly, it does not have any butter in it. This type of buttermilk is cultured low-fat milk, which has undergone a souring process. In addition, it has various additives such as carrageenan, food starch, and locust bean gum. Lastly, there is a high salt content found in it. Store-bought buttermilk makes food taste better. However, by itself, it does not taste just as good. It is interesting to know that some people enjoy or at least tolerate it. Like we all know, our taste buds vary, so if you will ask anyone, the answers are also different. In general, buttermilk has a sour taste. Buttermilk does not have the appropriate sweetness or creaminess you are expecting. It might taste a little tangy or bitter. Some who have tasted it would also say that it is a little thick in terms of its texture. Some also have compared it to low-fat drinkable yogurt. However, it is well toned down and less tangy. What Are The Benefits Of Consuming Buttermilk? Buttermilk may not taste like how we want it to be. However, if it consumed straight instead of being an ingredient to different recipes, the health benefits it can give you might just change your mind about it. In this section, I am going to enumerate some of the health benefits one can get from consuming buttermilk. Did you know that buttermilk is rich in calcium? As we all know, calcium makes our bones stronger and healthier. To add, it reduces our risk to develop osteoporosis, as well as other bone-related problems. It is also high in protein, which is considered a perfect addition to your diet. Protein can strengthen our bones, muscles, and skin. Buttermilk contains riboflavin, which is commonly known as vitamin B12. It supplies energy and flushes out toxins in our bodies. Buttermilk also has been proven to boost the immune system, promote healthy digestion, make our skin glow, improve cardiovascular health, regulate blood pressure, and combat acidity, among others. Traditional buttermilk is produced through a process called churning. Did you know that you could do this at home? Place fresh milk in a large container and leave it for several days. By doing so, the milk will have a sufficient period of time to separate itself from the cream. After doing the above step, you can now take the cream out. Then the cream should be churned through the use of a plunger. Once the churning process has finished, you can now enjoy the buttermilk. You just have to take into consideration that this may not taste as good as milk, as mentioned above. Cultured milk, however, is a lot easier to make. The reason is that lactic acid bacteria have already been added to the milk itself. Surprisingly, this culturing technique is being incorporated to almost all commercially sold buttermilk. You may find this type of buttermilk at the local grocery store. Let’s say you have a bottle of buttermilk at home and you are thinking of ways on how to use it before it spoils. In this section, I am going to list some of the creative ways on how to use buttermilk as an ingredient. 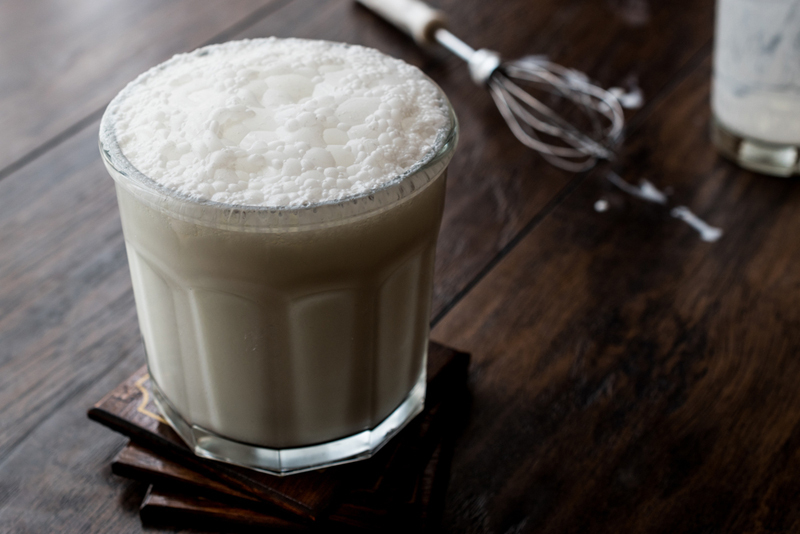 Buttermilk will sure make your food or drinks a lot more delicious and tasty. 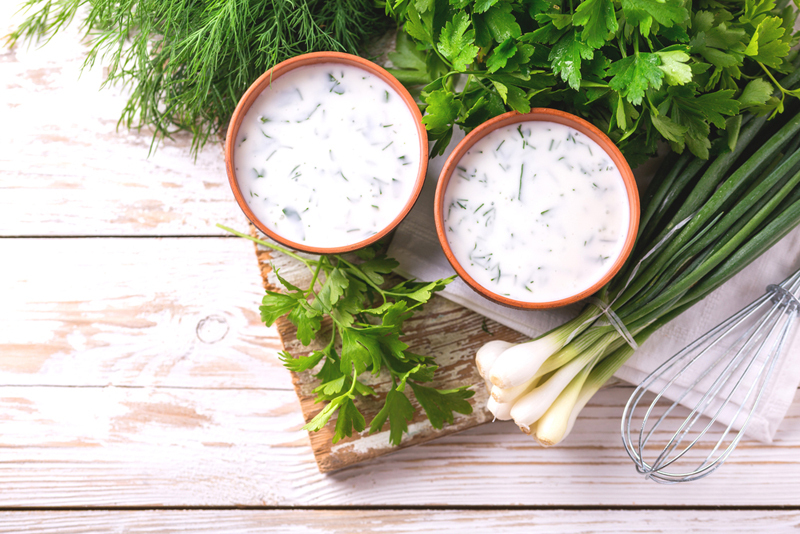 Buttermilk can be used to make homemade ranch dressing if ever you fancy a delicious side dish. It can also be used for waffles and maple oat and pumpkin scones. It can be added as an ingredient to coconut buttermilk syrup and pancakes. Lastly, you can use buttermilk to make potato salad, chocolate muffins, and banana bread. Buttermilk has two types: the traditional ones and the commercially sold ones. It may taste a tangy or bitter, just like low-fat yogurt drink. Buttermilk is rich in calcium, protein and riboflavin. It also has a number of health benefits such as immune system booster, among others. Buttermilk is made through the process called churning, wherein cream is separated from the milk itself. Using buttermilk to make pancakes and salad dressings have been proven to create a very tasty result. It can also be used to bake and make frozen treats.